I am sure that we would be humbled. 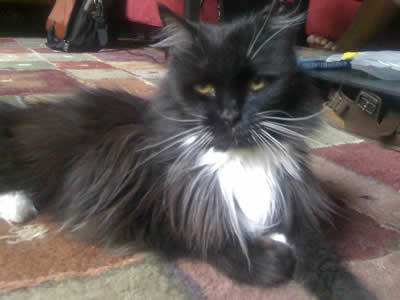 The cat pictured above is a regal feline named “Whiskers”. Resilient and strong for sure, Whiskers has endured neglect in her past life, yet her current caretakers say she is the most grateful of felines. She asks little, but gives much. Whiskers is a quiet cat who seems nonplussed by other cats and is well acclimated to domestic life. She is a mature lady, approximately 15 years old, and certain to give someone a lot of love in her remaining years. Sadly, her foster family who has been nurturing her back to health cannot keep her. When my friend Robyn Harton shared her story with me, it moved me in much the same way as Little Meow’s story did. I wanted to draw her picture, and I wanted to help her find a home. Life has been a challenge for Whiskers. It is time to give her a change and let her see the good side of humanity. Can you help Be the Change for Whiskers? Do you know someone who might be wanting Whiskers’ love? She is in the Richmond, VA area, but can travel to a good home in the United States. Can you help her find a home? 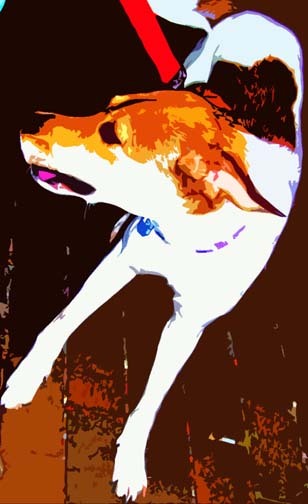 You can learn more about her and how to contact her foster family here at CrystalsAndJewelry.com Blog & News. If you are not inclined to be involved in pet rescue, that is fine. 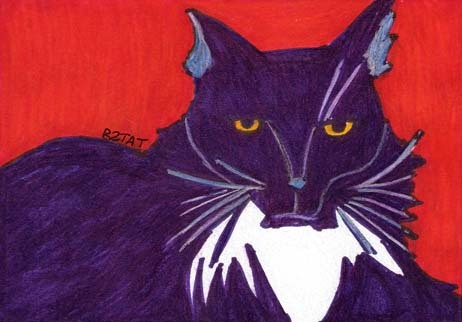 I hope that you will still share in the celebration of this amazing cat’s life through my artwork. To me, the best art is motivated by a deeply felt experience, and that certainly is the case with the story of Whiskers. This post is part of the Blog the Change Blog Challenge. You can read more blog posts in the challenge here.